This was a purchase from Last Bottle Wines, please see below for more information on them and the opportunity to receive a credit on your account by signing up for their e-mail list. My previous bottle seemed a bit tired and perhaps past its prime but that was clearly an off bottle. 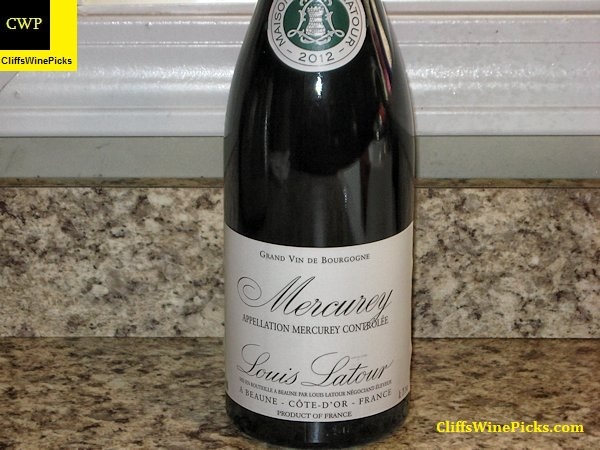 This 100% Pinot Noir is from the village of Mercurey in the Côte Chalonnaise region. The vines are an average of 25 years old. After a traditional fermentation, the wine is aged 10 to 12 months in stainless steel vats. 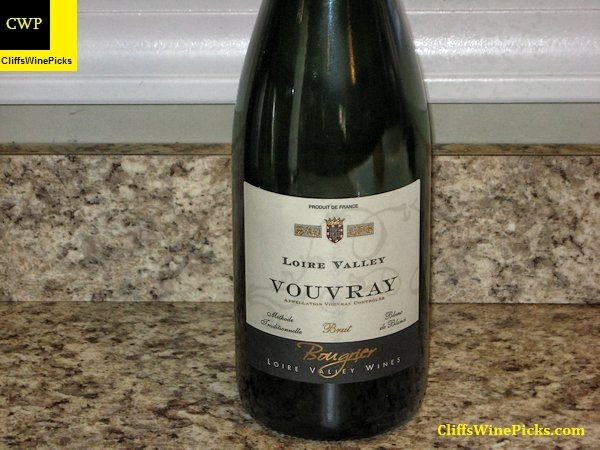 The wine has 13.0% alcohol and the bottle is sealed with an agglomerated cork. Rhys makes world class wines that usually need a few years in the cellar to develop and open up before they show their best. This vineyard used to be a Christmas tree farm. In 2002 the Sletten, Martin, Sullivan and Harvey families formed a partnership and decided to convert the farm into a vineyard due to its loamy clay soil and eastern aspect. Vincent Arroyo holds a special place in my heart. This was one of the first wineries I visited on my first trip to Napa many years ago. For me, a trip to Napa isn’t complete without a stop at the winery which usually includes trying just about everything they have aging in barrels. If you ever visit the winery, Greenwood Ranch is the home vineyard around the winery. The winery owns 85 acres and cultivate 9 different wine grape varieties. The winery produces about 8,000 cases of wine a year. This wine was supplied to me by Lodi Wine to help celebrate Zinfandel Day. There are always heated arguments over what should be considered to be an “old vine”. In this case, there should be no disagreement that this wine comes from “ancient vines” since the vineyard was planted in the 1800’s. To me, a wine produced from vines over 100 years old deserves to be called Ancient Vines. The Louis Latour Mercurey paired wonderfully with ham, macaroni & cheese and mixed peas from this year’s garden. I paired the Jessie’s Grove Zinfandel with a cooler weather staple, Red Beans & Rice. 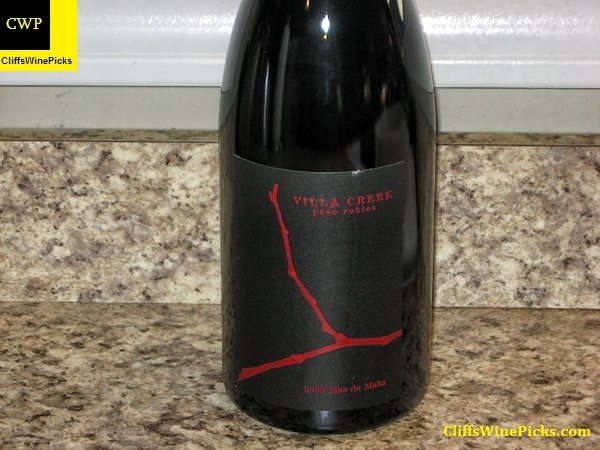 I opted to open the Vincent Arroyo Petite Sirah with prime rib instead of my normal Cabernet Sauvignon. The Macchia Zinfandel was my choice to open with a large serving of Chicken and Andouille Gumbo. 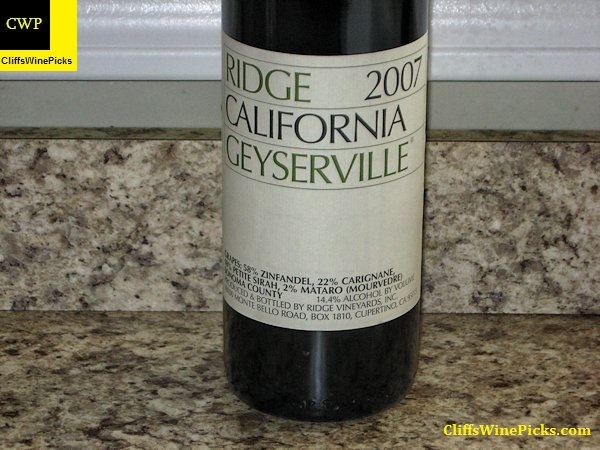 I always have a hard time choosing a favorite between the Ridge Lytton Springs and the Ridge Geyserville wines. Both are zinfandel based blends but since Zinfandel generally constitutes less than 75% of the blend, they aren’t labeled as a Zinfandel. This vintage is a blend of 58% Zinfandel, 22% Carignane, 18% Petite Sirah, 2% Mataro (Mourvedre). This wine is disappearing from my cellar at a fairly fast rate of speed, of the 15 bottles I originally purchased; I now have less than half remaining. The alcohol is listed at 14.4% and this uses a natural cork closure. In the 1940s, William Short, a theologian, bought the abandoned winery and vineyard just below the Perrone property; he replanted several parcels to cabernet sauvignon in the late 1940s. From these vines — now the “middle vineyard”— new owners Dave Bennion and his three partners, all Stanford Research Institute engineers, made a quarter-barrel of “estate” cabernet. That Monte Bello Cabernet was among California’s finest wines of the era. Its quality and distinctive character, and the wines produced from these same vines in 1960 and ’61, convinced the partners to re-bond the winery in time for the 1962 vintage. The first zinfandel was made in 1964, from a small nineteenth-century vineyard farther down the ridge. This was followed in 1966 by the first Geyserville zinfandel. The founding families reclaimed the Monte Bello terraces, increasing vineyard size from fifteen to forty-five acres. Working on weekends, they made wines of regional character and unprecedented intensity. By 1968, production had increased to just under three thousand cases per year, and in 1969, Paul Draper joined the partnership. A Stanford graduate in philosophy—recently returned from setting up a winery in Chile’s coast range—he was a practical winemaker, not an enologist. His knowledge of fine wines and traditional methods complemented the straightforward “hands off” approach pioneered at Ridge. Under his guidance the old Perrone winery (acquired the previous year) was restored, the finest vineyard lands leased or purchased, the consistent quality and international reputation of the wines established. Cabernet and Zinfandel account for most of the production; Syrah, Grenache, Carignane, and Petite Sirah constitute a small percentage. Known primarily for its red wines, Ridge has also made limited amounts of chardonnay since 1962. Lytton Springs, in Sonoma County, became part of the Ridge estate in 1991. A quarter century’s experience with this vineyard had convinced us that it was an exceptional piece of ground. Forty consecutive vintages of Geyserville attest to yet another stunning combination of location and varietals. Though born in the early sixties to the post-Prohibition world of modern California winemaking, Ridge relies on nature and tradition rather than technology. Our approach is straightforward: find intense, flavorful grapes; intrude upon the process only when necessary; draw the fruit’s distinctive character and richness into the wine. The winery was named for the owner’s two grandmother’s, Bella and Grace. 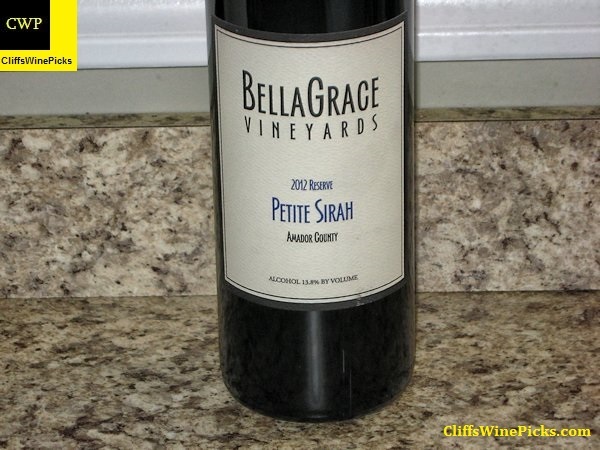 This wine uses grapes from the estate’s BellaGrace Vineyard in Amador County. The wine has 13.8% alcohol. This is original to CliffsWinePicks.com. Copyright 2015 Cliff’s Wine Picks.